Free Shipping Included! 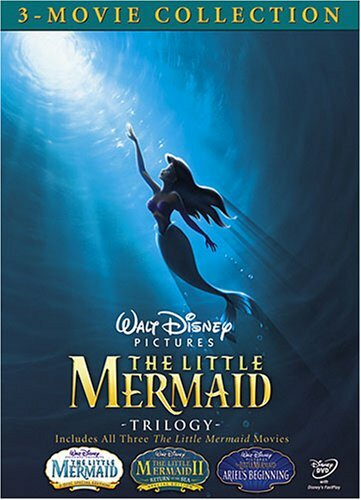 The Little Mermaid Trilogy (The Little Mermaid/The Little Mermaid II: Return to the Sea/The Little Mermaid: Ariel's Beginning) by WALT DISNEY VIDEO at Chocolate Movie. Hurry! Limited time offer. Offer valid only while supplies last. UPC: 786936771688DESCRIPTION: Dive into The Little Mermaid collection and experience every magical moment of Ariel s underwater adventures. If you have any questions about this product by WALT DISNEY VIDEO, contact us by completing and submitting the form below. If you are looking for a specif part number, please include it with your message.